Virtual reality is changing the way we hear and tell stories. Immersive, empathetic experiences are the new norm. Not just for games, VR tells different stories in a different way. No other medium places the audience in the middle of the story like VR. Whole body experience imparts a deep level of empathy. When it was first introduced in the 1990s, virtual reality (VR) was just a game – a novelty that few thought would have practical application. A couple of decades later, though, that game has changed. Just as VR was beginning to lose its luster, storytellers picked it up as a new platform on which to spin their yarns. Here are two interviews from the 2015 Future of Storytelling (FOST) festival that illustrate the profound shift in consciousness that VR heralds. I witness news. VR has a storytelling power like no other medium. With VR you see not only with your eyes but your entire body, says Nonny de la Peña. Courtesy de la Peña; FOST. Immersive journalist Nonny de la Peña uses VR to tell real stories. A former correspondent for Newsweek, de la Peña is a documentarian who has covered hunger in America, a mortar strike in Syria, and death at a migrant border crossing, all through the use of VR combined with actual audio. Where are you? The audience is in a different place in VR storytelling. Courtesy Saschka Unseld; FOST. Fiction can also pack more punch through VR. Saschka Unseld, creative director for Oculus Story Studio, has observed that comedy and empathy work differently through VR than through a book or film. For example, in films, close-up shots are often used to show emotion. But in VR, such shots can be uncomfortable for the audience. 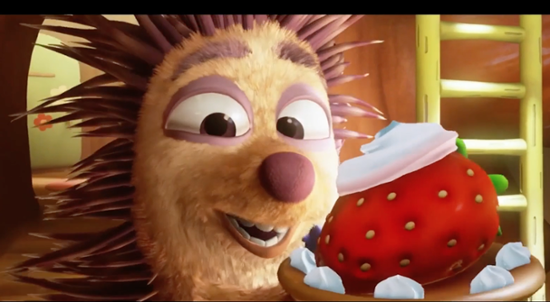 In film, characters also don’t often look directly at the audience; in VR, it feels awkward if they don’t. With VR, the bond between the character and the audience seems much more direct and intimate. In VR it is the viewer’s perspective that imports meaning, Unseld explains. Whereas film allows us to experience the character’s world through our eyes, with VR we experience their world with our entire body. VR can definitely be fun, but to think of it as only for games would be to misconceive what’s occurring on this technological front. VR is nothing short of a new medium that brings a new way to experience and tell the stories of our world. “It creates an empathy in people that far surpasses any other medium that we have to tell those type stories,” says de la Peña.